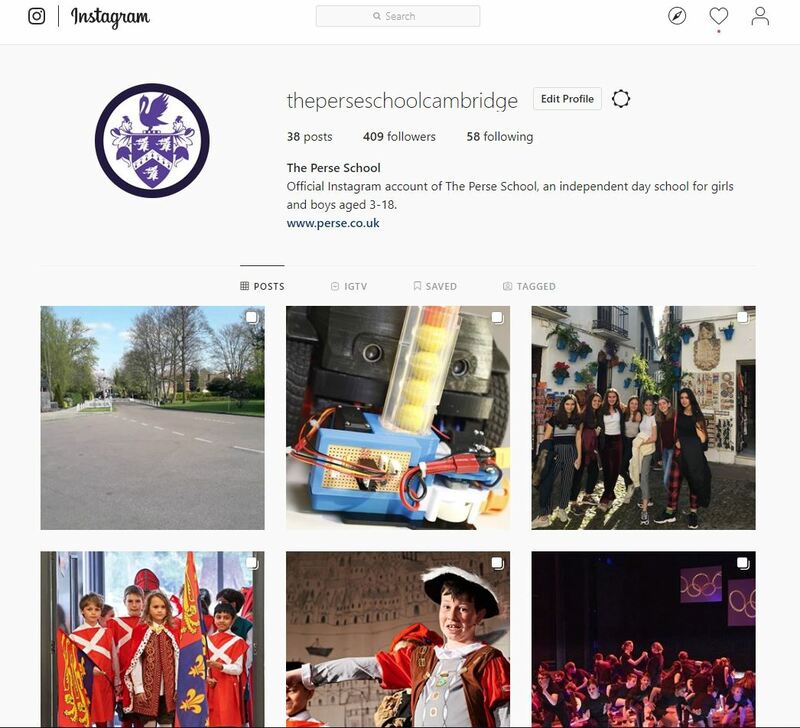 The Upper is Cambridge’s oldest surviving secondary school, founded by Dr Stephen Perse, a Fellow of Gonville & Caius College, 400 years ago. Today it is one of Britain’s top co-educational day schools, with around 1,170 girls and boys aged 11-18. Our values shape everything we do and how we do it. These values have led us to a clear learning philosophy – an articulation of the Perse approach to equipping students with the core skills, knowledge and – above all – attitudes and practices that underpin lifelong learning. But the secret of our success lies in who we are. Put bright young people together and they spark off each other, spur each other on, and form a positive peer group culture in which success is celebrated. In turn, such a concentration of talented young minds creates a wonderfully vibrant learning environment, allowing us to recruit and retain the best teachers. These teachers combine high level academic expertise with excellent teaching skills, and a real concern for the pastoral well-being of each and every child. A happy child is a successful child, and we work hard to support all of our students. Our students achieve some of the best I/GCSE, A level, Pre U and university entry results in the country. Yet while the School’s academic credentials are well known, you may be surprised to discover the range of exciting extra-curricular opportunities on offer. Whether cultivating a particular talent and competing against the best or taking part for fun, quality time on the pitch, stage and trail or in the studio helps students develop the self-confidence, organisation and resilience needed to make a success of adult life. Schools must prepare pupils for global opportunities, and we have developed a wide ranging international exchange programme linking The Perse with schools in China, India, Japan, Singapore, France, Germany, Spain, South Africa, Australia and the USA. We are one of the founding members of the SAGE global alliance of leading schools. Read about what the partnership means for our students and teachers in our Partnerships section. We aim to be true to the vision of our founder, who set up The Perse as a ‘free grammar’ school. Our extensive bursary support ensures that children from all backgrounds can enjoy a Perse education. Parents tell us that our diverse student body and down-to-earth feel is one of our strengths. Please come and see for yourself the difference a Perse education makes. Half a mile from Cambridge Railway Station and adjacent to Addenbrooke’s Hospital at the Cambridge Biomedical Campus, the Upper is situated on an attractive 27 acre green field site with extensive playing fields and recreational areas that provide a sense of space. We also have 26 acres of sports fields at Little Abington, just 15 minutes from school. Perse pupils enjoy high specification science labs and classrooms; a purpose-built sports centre, on-site and off-site sports fields and all weather surfaces; a music centre including a rehearsal hall, art studios, a graphic design suite and a gallery; a lecture theatre; and an outdoor pursuits centre, climbing wall and shooting range. Our new Peter Hall Performing Arts Centre opened in 2018. We have a 20,000 volume library with zones for social reading, research and silent study, and pods for collaborative work. High-speed wired and wireless networks ensure ready access to online learning resources throughout the campus.